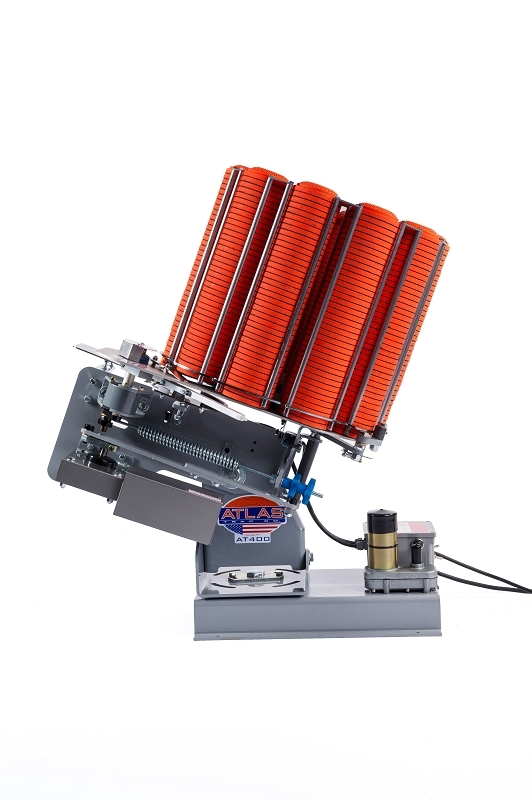 The ATA AT-300 trap machine is designed to handle the rigorous use of commercial trap clubs. With its 300 target capacity, 40-90 yard throwing distance, angle adjustment and tilting base - for windage adjustments, the ATA AT-300 conforms to ATA trap presentations. It comes equipped with our random timer interrupter to start and stop the side-to-side movement, preventing the shooter from "reading" the target. Powered by a 12-volt battery (110v optional) the commercial-grade motor mated to a heavy-duty gearbox will provide decades of dependable service. The ATA AT-300 uses heavy-duty corrosion free components through out the entire machine such as the stainless steel top plate, drop and target launch plates. Utilizing the DuraClutch™, electro-mechanical controls, and quick-change aircraft-grade aluminum throwing arm the ATA AT-300 is very simple to operate. The unrivaled Atlas 5-year warranty and a lifetime warranty on the DuraClutch™ and electrical system provide peace-of-mind for club owners and grounds keepers. Our trap club purchased a AT300 direct from Atlas and we picked it up at their facility in Benton, Ks. We showed up a couple hours early and they stayed over their lunch hour to get the machine finished. It was still being test fired! They gave us a very detailed explanation of the design as well as the function of the AT300. We got to see it throw targets as well. They even custom added a coupler to it for our mobile use. Very well built and attention to all the details is amazing. This is one of the simplest throwers I have ever been around. That same weekend I was able to shoot over it. Very fast cycle times. The target is thrown at a split second of calling for it. The interrupter is very good for battery life and not predicting the next throw. Out of over 300 targets thrown we only had two break. Those could have been pick ups from last case of targets too. We were very proud to buy from a Kansas company and Atlas Trap Co is one of the finest. Thank you Atlas!